A hierarch of diagrams is typically created that start from the Context diagram, which is said to be at 'level 0' in the hierarchy. 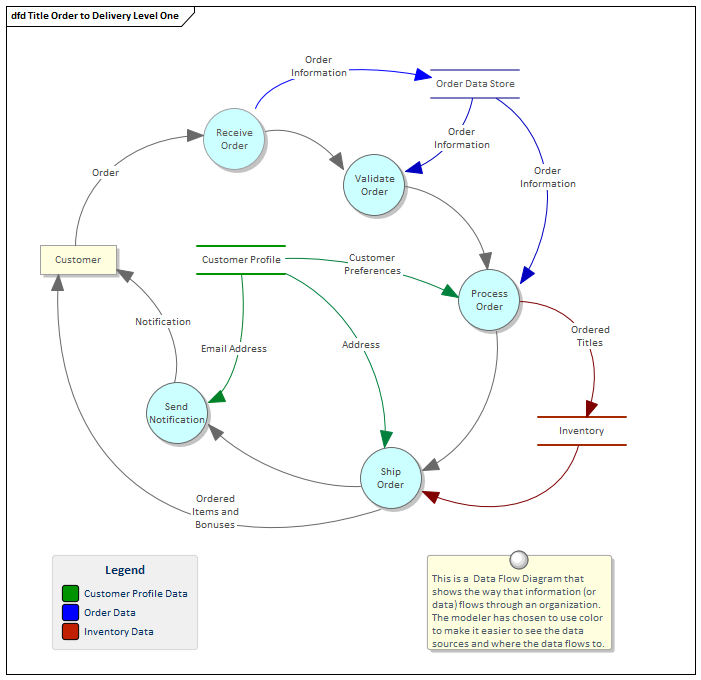 The Data Flow diagram can be used to create a data- and process-centric view of a system at any level. While the BPMN Business Process diagram is not centered on data the Data Flow diagram is data-centric and shows which Processes consume, produce and store data. The diagrams are useful for a data analyst who needs to know how data moves through a system, from the context level where data flows between external entities and through the system down to the lowest level. The Data Flow diagram can be assembled into a hierarchy, and drill down to lower level diagrams can be achieved using the child diagram functionality. The Processes can be organized into a hierarchy using the Project Browser; the child diagrams can be nested under each Process node in the Project Browser tree. Colors can be used to represent particular data and how it flows through the system. Target and Future State diagrams can be drawn and transitions can describe how processes can be improved and made more efficient. 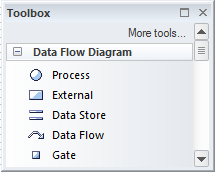 The Data Flow diagram (like any diagram) can be viewed as an element list, which makes working with the element's properties easier. Diagram Filters can also be used when presenting the diagrams, to draw attention to parts of the diagrams, and the diagrams can be presented as hand drawn or in a whiteboard style by changing the diagram properties.